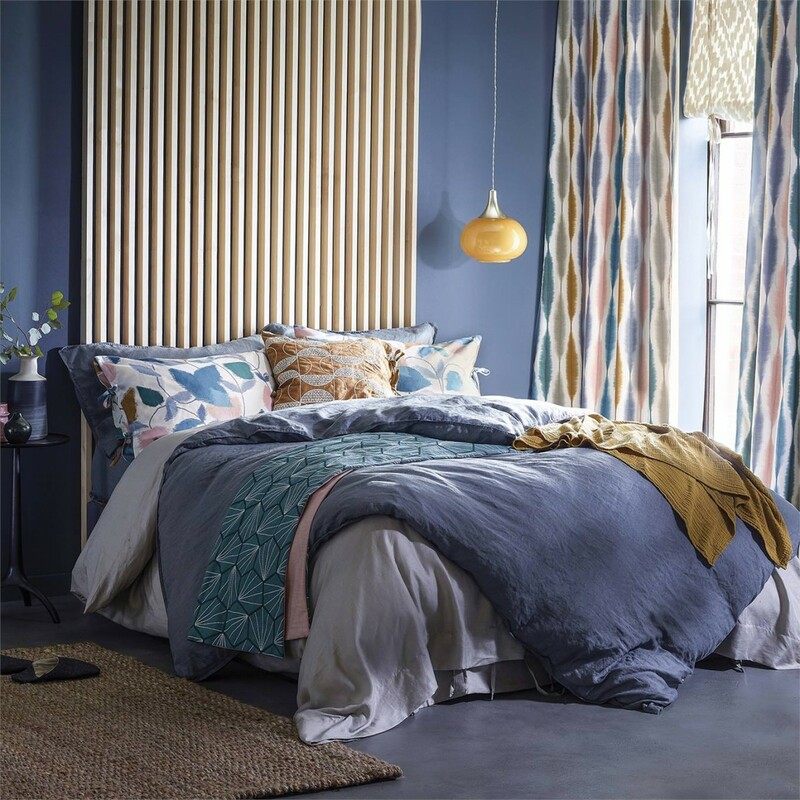 We now have Harlequin’s ‘Anthozoa’ fabric & wallpaper collection and ‘Moramo Linens’ collection available in our showroom. Anthozoa wallpapers by Harlequin are guaranteed to make a statement piece in your home. 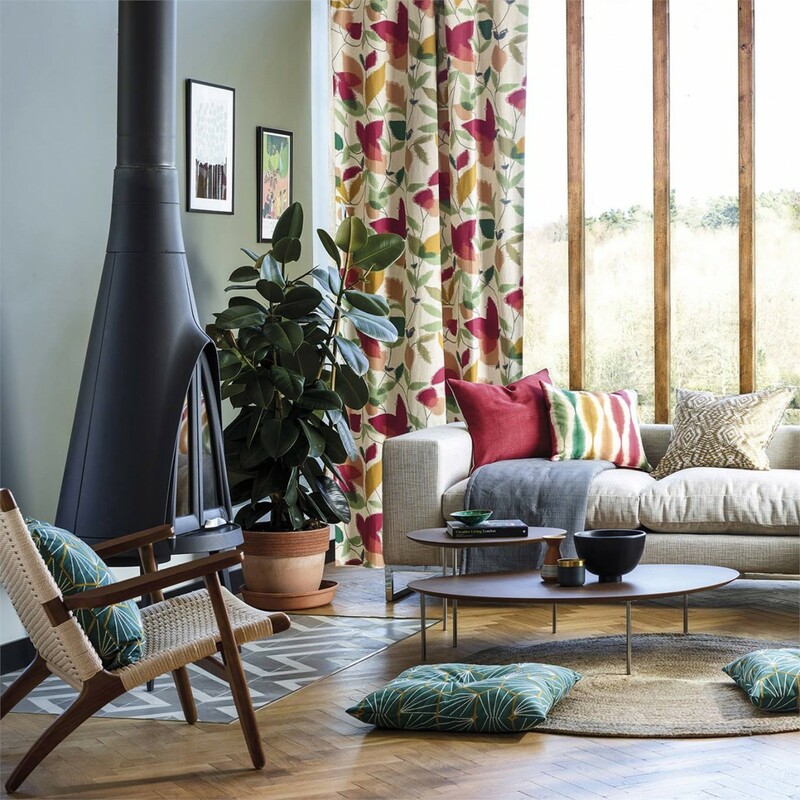 The collection comprises of 7 striking designs that are vivacious, energetic and bursting with glamorous botanicals, alluring sea plant life and inky landscapes. Most of these statement pieces have metallic highlights, iridescence or beading to really make them stand out with maximum effect. The real statement piece of the Anthozoa wallpaper collection is the Kailani panel – a digitally printed panel featuring an intriguing landscape built up with marine colourings. It’s sure to be the centre of attention! 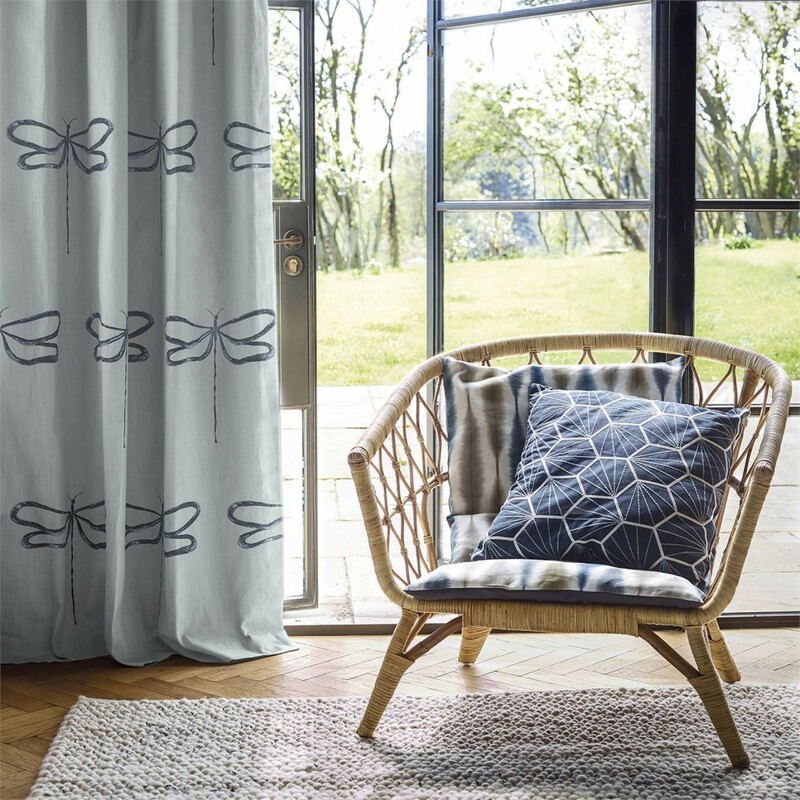 Alongside Anthozoa wallpapers Harlequin have produced a complimenting fabric range that is fashion-led and guaranteed to make a statement in your home in company with the striking wallpapers. 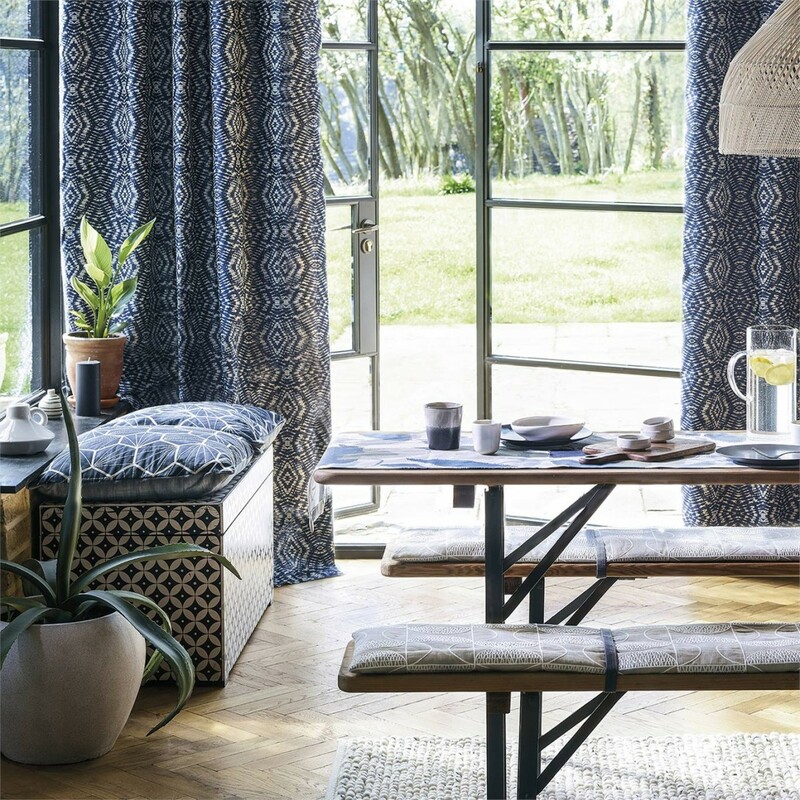 The fabric range consists of seven printed designs, five weaves and two semi-sheers, all of which will create a confident interior. 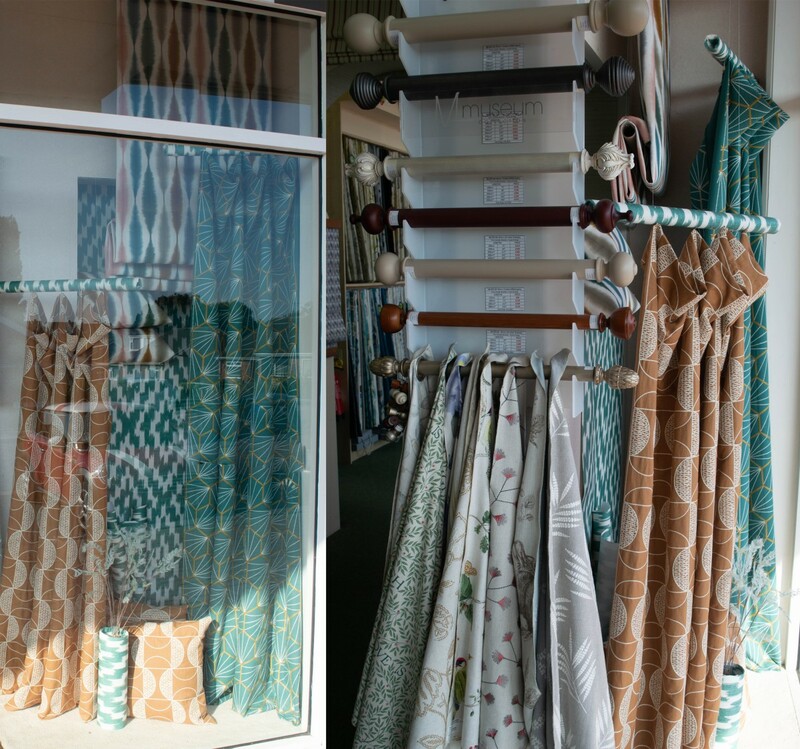 These beautiful linens are available in a variety of aquatic colourways and perfectly complement the Anthozoa wallpapers & fabrics. 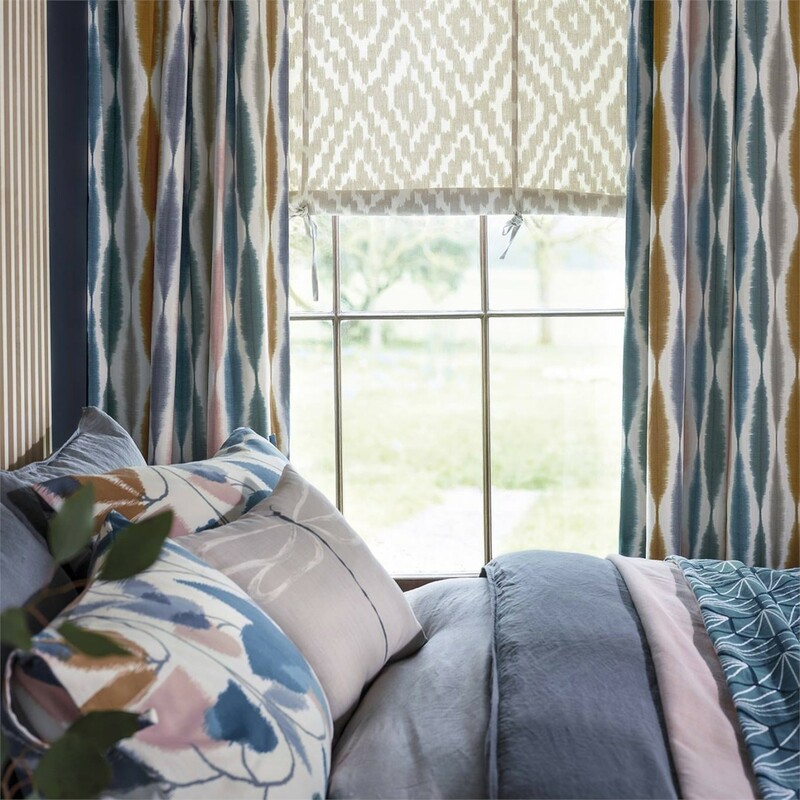 New Engblad & Co Collections Now Available in our Showroom! 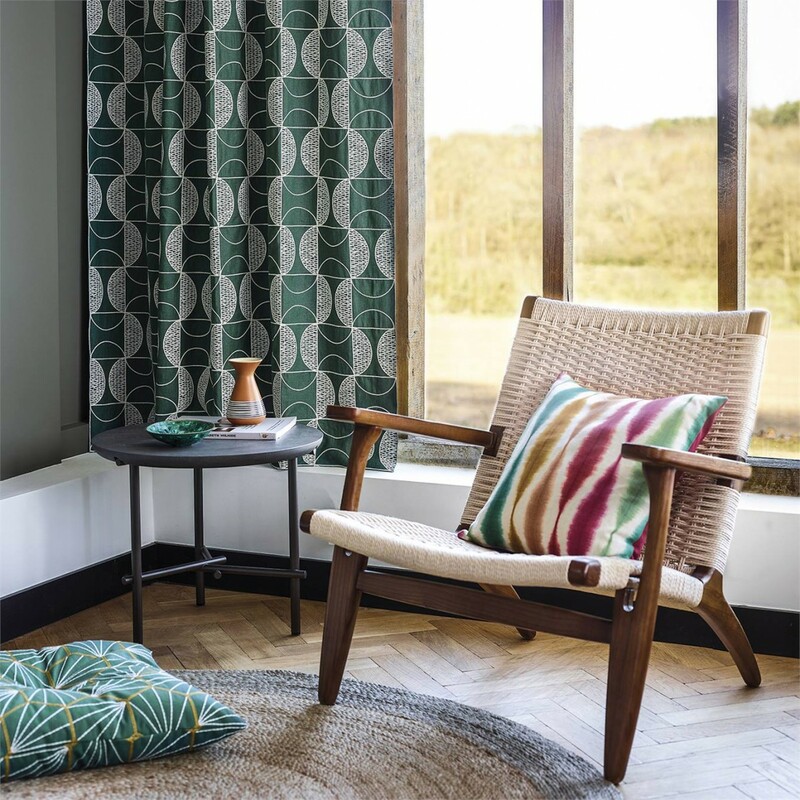 We now have Engblad & Co’s (formally known as Eco) Front, Nature and Jaime Hayon wallpaper collections available in our showroom. The Front collection has been created by the acclaimed design group Front, and takes inspiration from ‘trompe l’œil’ (‘trick of the eye’) visual devices. In order to achieve the effects shown, they used scissors to cut out different shapes which were then woven and folded before finally being sketched out – resulting in a series of patterns that offer a discrete and harmonious backdrop to any room, whilst still being distinctive enough to enhance different interior designs. Front consists of 8 patterns that all add depth, shade and structure to white walls. These wallpapers take their inspiration from Scandinavian nature, mixing it up with new and exciting urban elements. Featuring soft and elegant patterns these wallpapers are an easy fit for a tranquil rural home, yet they also suit the city pulse of modern apartments. Breathe in nature and decorate your walls with mist-clad mountains, budding spring leaves and soft, geometric wood surfaces. DISCLAIMER: All of the above NATURE wallpaper designs are out of stock with the supplier until 12th June 2017. Please enquire on stock before ordering. In this collection Jaime has gone back to the fundamentals in his designs and drawings: basic components of dots, lines and circles. Also using angles, curves, volumes and lines he has succeeded in creating designs that combine character and discretion. These wallpaper designs give a room both identity and personality. We now have the Boråstapeter Wallpapers by Scandinavian Designers II collection available in our showroom, a unique opportunity to decorate your walls with a piece of classic Scandinavian design. The collection collates patterns from 5 different designer icons within architecture and pattern design during the 1940’s – 1960’s. 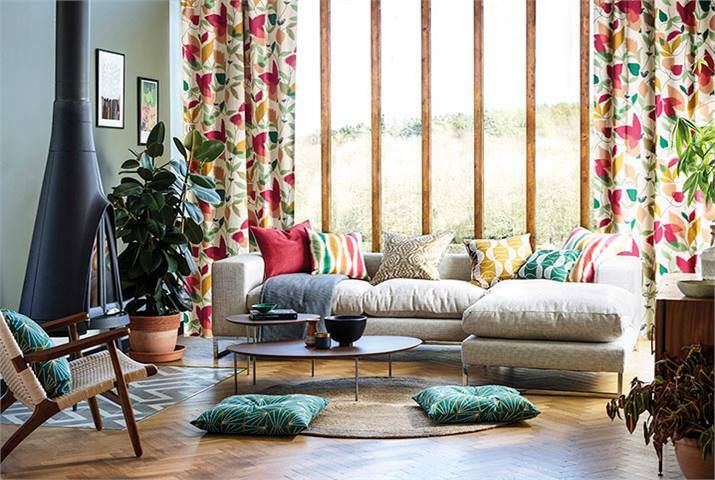 As Scandinavia is well-known for its many prominent textile and furniture designers, the Scandinavian Designers II collection includes 14 patterns which have all been created during the 1940s, 50s and 60s, and are all still as fresh and relevant today as the day they were designed. From clockwise left to right: Amorina 1771 in ‘Green’, Arne 1784 in ‘Blue’, Aurora Panel 1790 in ‘Multi’, Berså 1754 in ‘Orange/White’, Bladranker 1787 in ‘Green’, Köksväxter 1789 in ‘Green, Purple, Blue, Yellow’, Melodi 1757 in ‘Multi’, Poème d´amour 1764 in ‘Pink’, Pottery 1760 in ‘Red, Beige, Blue’, Rabarber 1792 in ‘Multi’, Romans 1766 in ‘Black, White’, Trapez 1778 in ‘Grey’, Trollslända 1788 in ‘Multi’, Vertigo 1774 in ‘Blue, Gold’. Almost a century has passed since this imaginative jack of all trades was born, but he is set to be even more integral to people’s homes than ever. Quite literally. His timeless design style is just as relevant and popular now as it was during the 1950s when his textiles, tableware, children’s book illustrations and TVs filled Swedish homes. Just as we think he would have wanted, Lindberg’s playful, slightly surreal, crazily beautiful and decorative designs can now adorn everybody’s walls with these wallpapers for everyone to love. Viola Gråsten initiated a new era in Swedish textile art with her modernist approach, flowing shapes and unusual colour combinations. Born and educated in Finland, Viola came to Sweden in 1944 when the war resulted in a wool shortage in her native country. She set her audaciously colourful and imaginative mark on everything from long-pile rya rugs to fabrics and quickly became one of Sweden’s most outstanding textile designers. In 1947, employed by well-known designer Atrid Sampe at NK’s textile studio, Viola sensationally revamped the department store’s rya rugs and printed fabrics. Sisters Lisbet and Gocken trained as potters in the 1930s, but during the Second World War it became difficult to obtain glazes for pottery. So Astrid Sampe, head of NK’s textile studio, suggested that they transfer their floral motifs from ceramics to textiles. Their colourful, hand-printed fabrics provided much-needed joyful expression during the post-war era, when decorative elements were needed to soften the functionalist style of architecture that had developed. DISCLAIMER: All of the above Scandinavian Designers II wallpapers are out of stock with the supplier until 12th June 2017. Please enquire on stock before ordering.